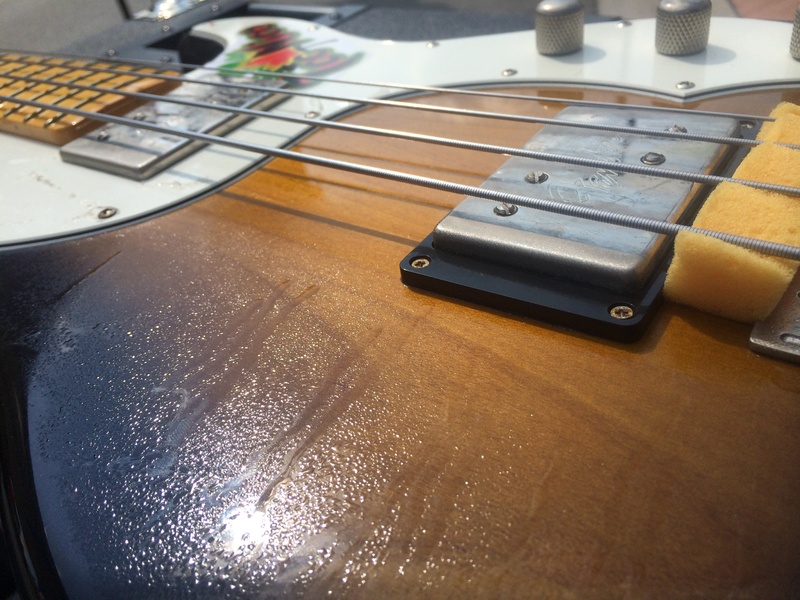 so over the weekend, we took the bass outta the case to find it covered in a coating of damp dew. which has us wondering if this happens more & we just don’t know it? how it ended up this way has us scratching our heads. was is the temp change from night to day? was it cuz we were further inland? did it have to do with the time of night we put the bass in the case? usually (ok, 9 times outta 10), we bring the bass inside with us overnight but since we were back on the road again in 6 hours, we didn’t this time. if that was the big factor, we will never do it again. if this has been happening more often and we just didn’t realize it, we will be taking it out of the case or opening the case every night as well. from now on, we will be tracking this phenomenon! New Dynablock in da Hood! twas a great weekend of 3 shows with TooNice & we had a new piece of equipment with us as well. 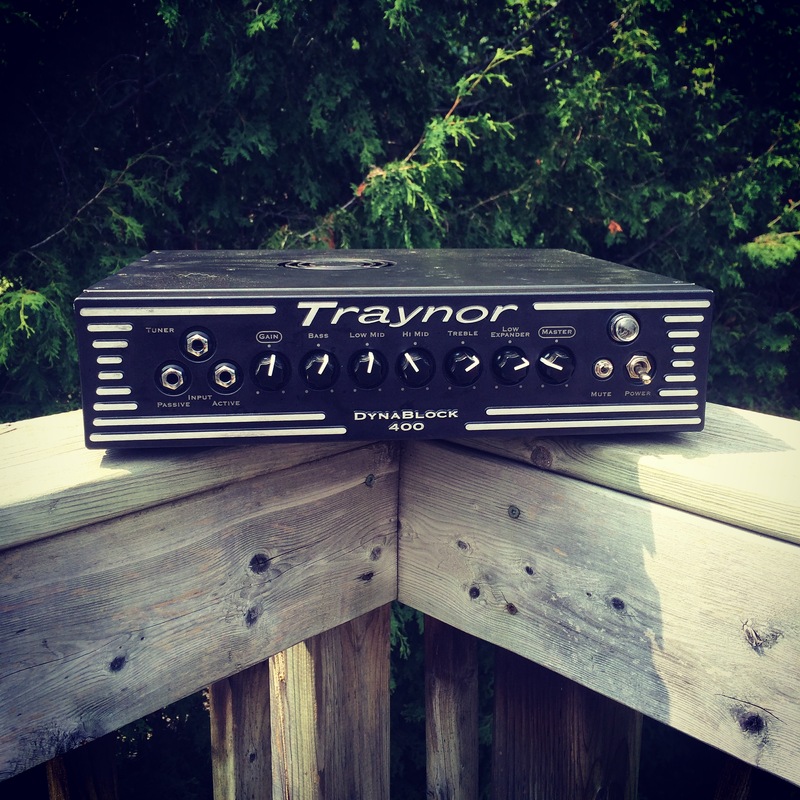 we managed to score a slightly used Traynor Dynablock 400 from a moving sale in the days prior to the shows. we played an acoustic night with it, then a big stage the next afternoon & then as part of our live rig with a soundman later that same night. essentially, running it thru our bassic usual paces & it passed with flying colours! we are still getting used to the finer points of the controls & finding our sweet spots with it but that will come with time. 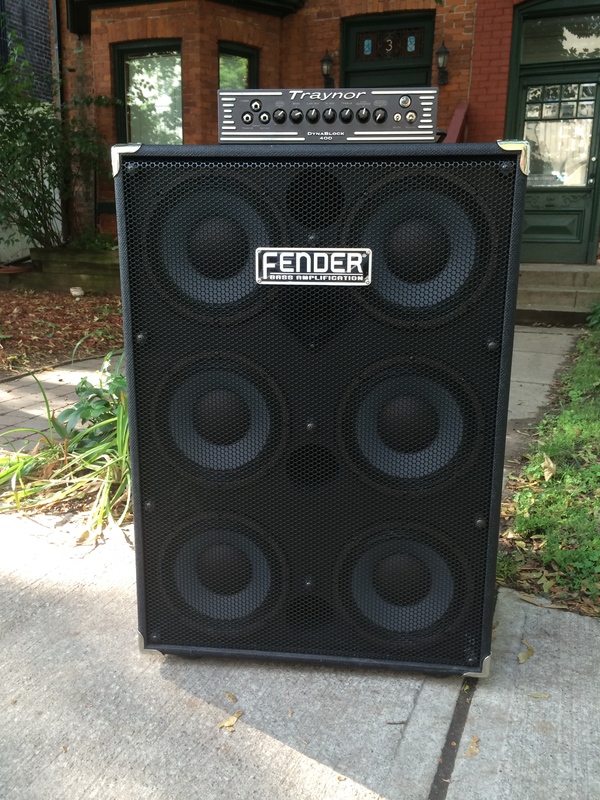 already though, the low frequency expander seems a bit silly to us. a “sound” investment that we hope will last a lot longer & with a lot less headaches than our previous Markbass Little Mark II head.